Companies care about the job satisfaction of their employees, because this is in their very own interest. In fact, dissatisfied workers perform poorly, are often absent and impose hiring costs as they switch employers frequently. Managers, as well as management researchers, agree on the importance of job satisfaction, since the Hawthorne experiments suggested in the 1920s that employees like attentive employers. In contrast, it is still a relatively new trend that politicians and economists also consider satisfaction measures, instead of sticking to GDP growth as the one and only measure of social progress. For instance, the British PM started a nationwide initiative to measure well-being in 2010 in order to reach a “government policy that is more focused not just on the bottom line, but on all those things that make life worthwhile.” One ‘thing’ that matters for people’s well-being in particular is employment, or, in the bad case, unemployment. In fact, people suffer from losing work more than from hardly any other life event. A consequence is that workers also fear unemployment already when still employed. This raises the question whether policy makers should not allow firms to employ workers on contracts that are limited in time, because such contracts bring about more insecurity about future employment than permanent contracts. Indeed, fixed-term employees often report not to know what will happen when their fixed-term job ends and such uncertainty, in general, lowers job satisfaction. Surprisingly, however, this doesn’t automatically mean that fixed-term employees are less satisfied at work than employees with a permanent contract. In fact, numerous studies don’t report any negative effect from temporary employment on job satisfaction. A statistical correlation often, but not always, points to a cause-effect relationship. The fact that people are more likely to die when retired than before doesn’t mean retirement in itself poses a risk of death. Unobserved (‘third’) factors often cause such a spurious correlation – or even veil a real connection. There may thus be many possible reasons why fixed-term employees are equally satisfied with their jobs as permanent employees, although they feel insecure. One phenomenon appears relevant in particular – the so-called Honeymoon-Hangover-Effect. When employees change their job, they are extremely happy with their new work at the beginning. This honeymoon, like any other honeymoon, lasts only for a short time. Satisfaction drops fast and dramatically – the hangover arises. Due to the short lengths of their jobs, fixed-term employees are more often still in the honeymoon phase when asked about job satisfaction, compared to the permanently employed. Subtracting this influence from the difference in satisfaction between the two groups, it turns out that fixed-term employees are on average less satisfied than the permanently employed. Road contruction by Skeeze. CC0 Public Domain via Pixabay. How can policy free fixed-term employees from the fear of unemployment? 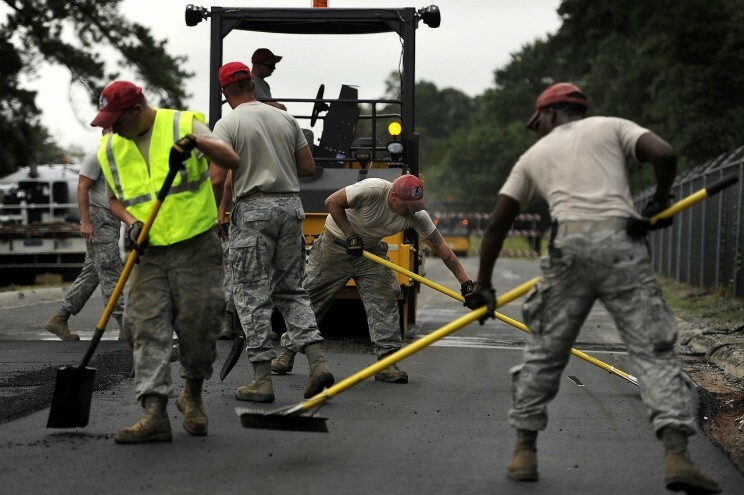 Not allowing fixed-term contracts could be a bad solution when companies need flexibility to adjust employment to the demand for their products and services. Employers argue that if they can’t split-up with employees, they won’t hire them at all. An alternative is to take away the bad consequences of unemployment. The idea originates from the Danish ‘Flexicurity’ model, which ties flexibility for firms with security for workers. Regarding the security part, mainly two ideas are discussed, but neither get much support from happiness researchers. First, high unemployment benefits may compensate for the misery of job loss. The problem here is that such a policy would be incredibly costly, given that joblessness hurts extremely and that the effect of money on well-being is not very strong. Second, training schemes and other measures aimed at improving employability can shorten periods of unemployment because they enable workers to find new jobs quickly. However, even people who know that they will find a new job quickly are quite unhappy when their current job is at risk. Obviously, one’s current job entails assets that cannot be replaced easily, such as the social relations with colleagues that have been established over time. It thus remains an important avenue for future research to answer the question how flexibility and security can be combined for the benefit of both workers and companies. Featured image credit: Office men women working by tpsdave. CC0 Public Domain via Pixabay. Adrian Chadi is research associate at IAAEU and the University of Trier. Clemens Hetschko is research associate at the Free University Berlin. Besides other topics, both researchers study the determinants of subjective well-being and thereby put particular emphasis on the role of labour markets and social policy. They are the authors of the article 'Flexibilization without hesitation? 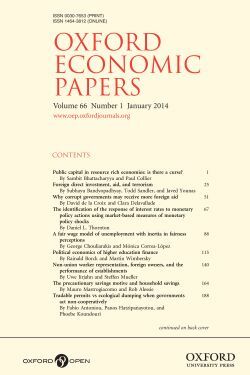 Temporary contracts and job satisfaction', recently published in Oxford Economic Papers.